Maybe weddings are among most special of occasions, and weddings in Abu Dhabi are given extreme attention since they are the traditional ceremony cared for from all concerned. 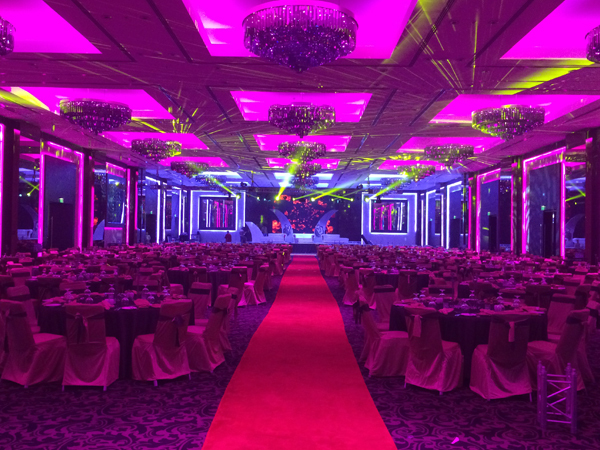 At UltraTech, Wedding Organizer, we extremely understand how stressful such an occasion can be to all, but what we can promise you is a planned wedding in Abu Dhabi that is unique in settings, adheres to everybody’s taste, and totally considers covering every gap such as Wedding AV Supply and Wedding Equipment Supply others might fail to attend to. Whether it was a themed context, a traditional yet a unique setting, we will absolutely take care of every detail for all weddings in Abu Dhabi; Wedding AV Supply and Wedding Equipment Supply, decorations, lightings, food setting, the audio visuals, music and effects, and even the tiniest of details, all efforts will just work together to create that edge of difference for an incredible night like no other. Weddings in Abu Dhabi are about new beginnings and a night of a life time, therefore they have to be as spectacular and as successful as your aspirations. We will offer you a peace of mind, and a once in a life time night that you will always go back to with a smile of sincere satisfaction and pride. We have the necessary expertise, the knowhow, and all what it takes of creativity and innovation to assure you that you will have the most successful of weddings in Abu Dhabi providing Wedding AV Supply and Wedding Equipment Supply. Just relax, get rid of all that stress, be confident and get ready confidently for your special big day.